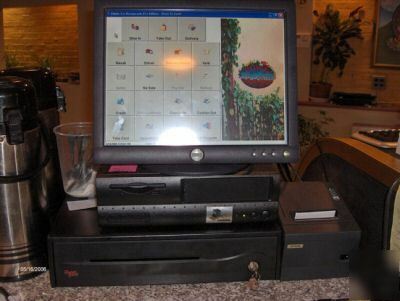 6 Stations Retail or Restaurant POS system with BackOffice Server, choose your software Package! All New Hardware carries a manufacturer's parts warranty. We are authorized Aldelo Resellers! * The seller is E-Computing LLC. a New Jersey corporation, located at 2981 Highway 9 North, Howell NJ 07731. * All new equipment is sold with manufacturer warranties expressed above. * Please allow 1-7 days for delivery of the system. * We try to present the item as accurately as possible. The presentation is based on the information available to us and to our knowledge. We do not guarantee this information's accuracy. * All sales are final. There are no returns, refunds, or cancellations. If E-Computing LLC. agrees to make an exception and allow a return, allow a cancellation or approve a refund, E-Computing LLC. reserves the right to charge a fee up to 25% of the order total.